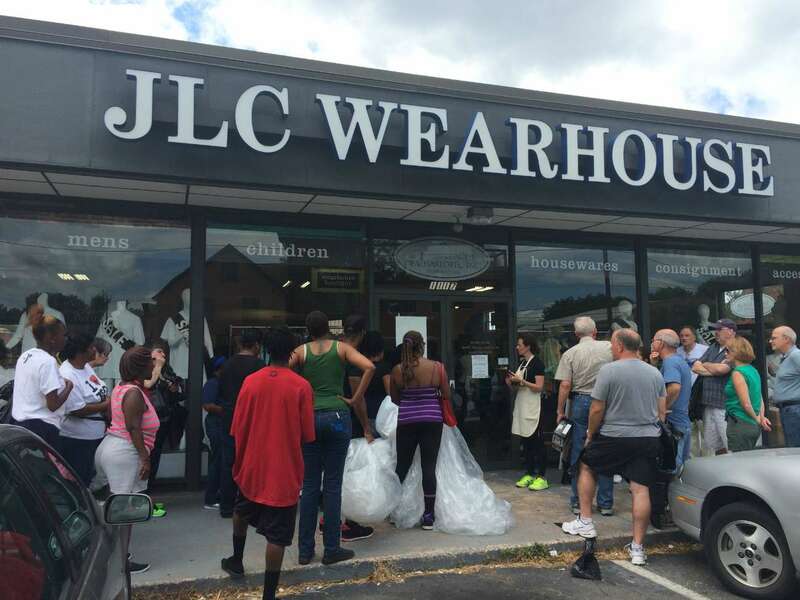 Saturday afternoon, JLC Wearhouse, a retail nonprofit thrift store operated by Junior League of Charlotte, closed its doors to the public to allow local charities to “shop” the floor free of charge. 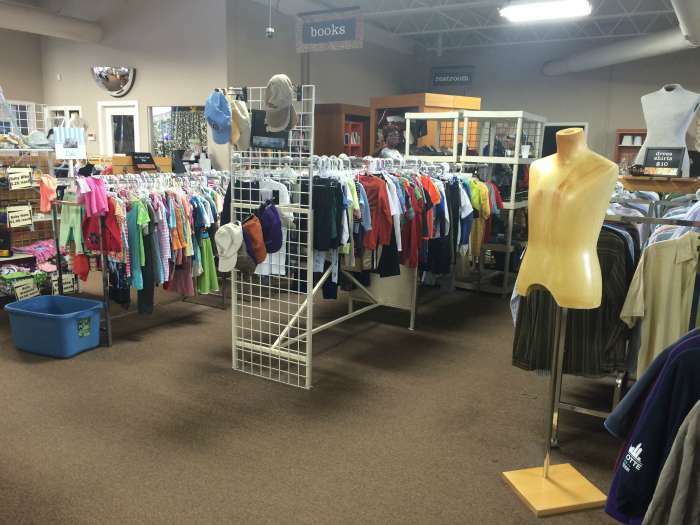 The biannual charity clear out is part of the store’s seasonal transition to make room for new inventory. 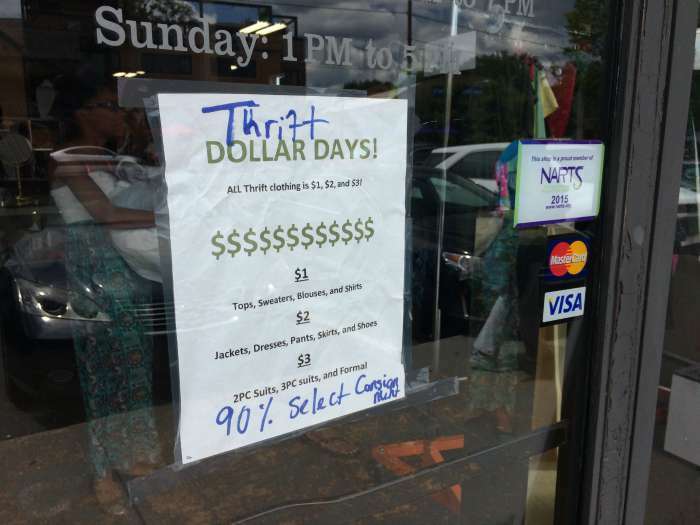 In the days leading up to the event, huge markdowns are applied to merchandise throughout the store with all thrift items tagged at $1, $2 or $3. At 1:30pm the store is abuzz with JLC volunteers preparing for the charities to arrive and last-minute shoppers snatching up deals before the doors close to the public. Outside, a line of trash bag-wielding charity volunteers forms. 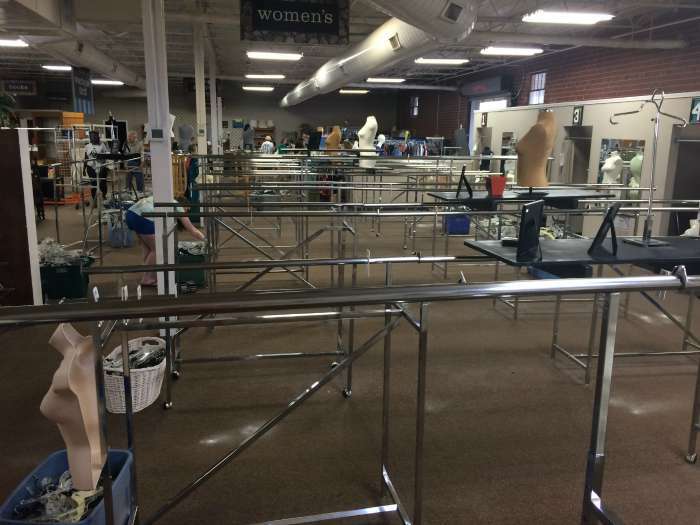 The rules are simple: take the clothes off the hangers and take all you can carry for free. Maxine Gray is collecting items for My Brothers’ and Sisters’ Walk-In Closet, which assists in providing clothing to the homeless and economically challenged. 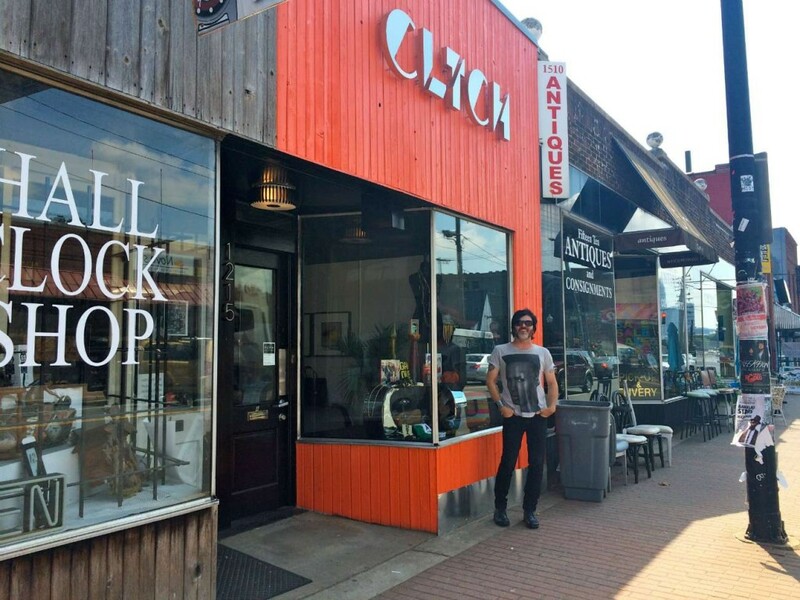 She says she’s got her eye on accessories and church clothes. 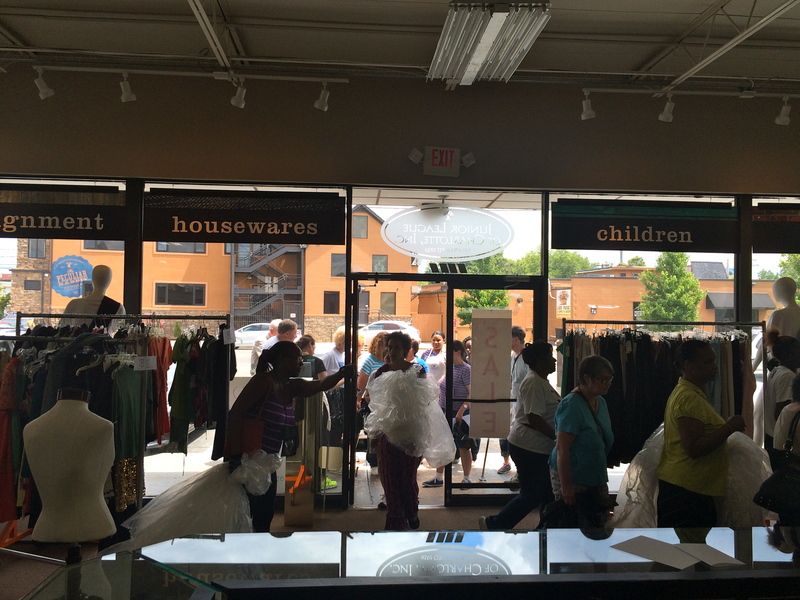 Shortly after 2pm the doors are unlocked and the charity shoppers flood the floor. Within about 90 seconds, Maxine has snagged a computer monitor, cleared an entire rack of accessories and begins filling a bag with women’s shoes. 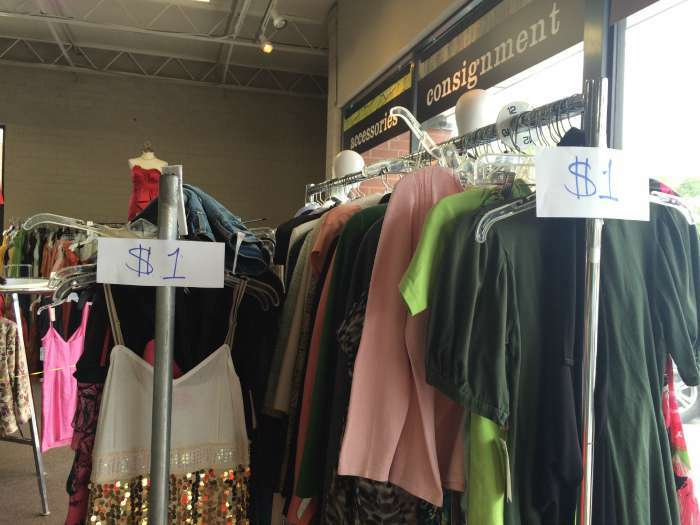 What could turn into a free-for-all is actually a methodical and thoughtful shopping process. 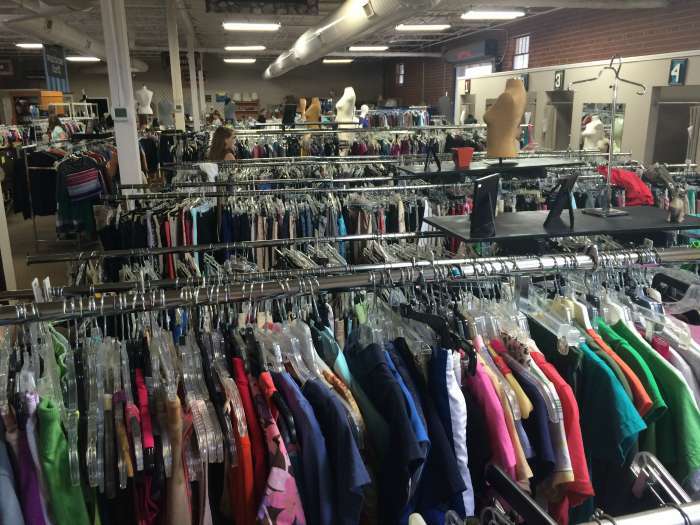 Volunteers move through the racks with careful deliberation, targeting specific items and sizes in demand in their communities. 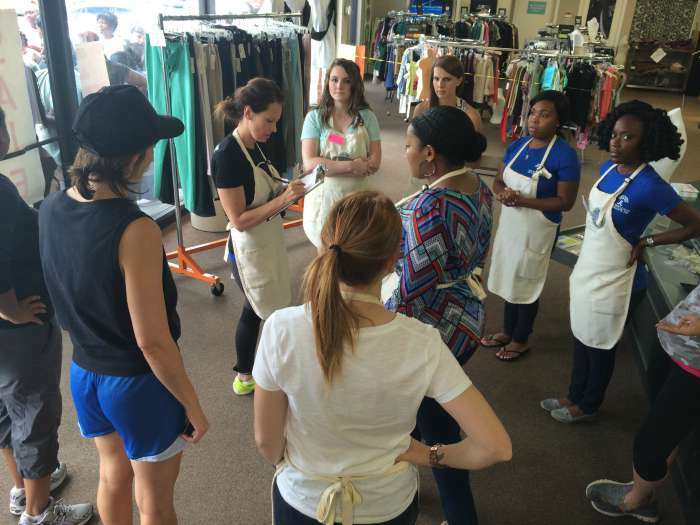 In some cases, the charity shoppers are shopping for themselves. 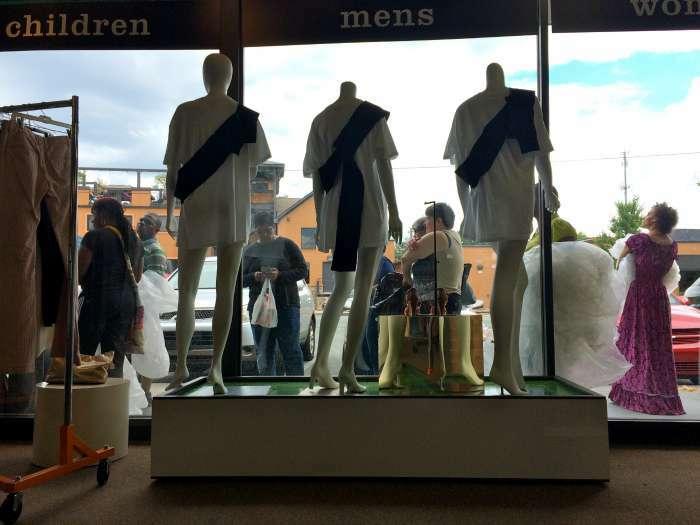 Kim Devoe from In Reach, an organization that provides housing and assistance to individuals with development and intellectual disabilities, has brought three of her residents to shop. They responded with an enthusiastic “Yes!” when asked if they were ready to hit the floor. 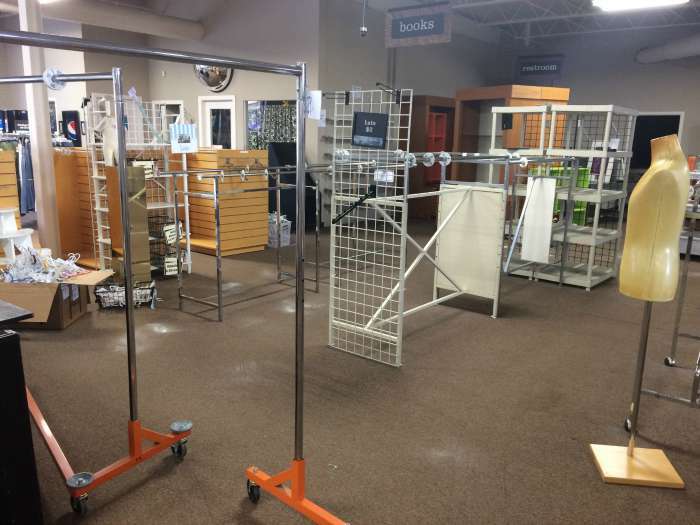 Within about an hour the entire store is cleared. 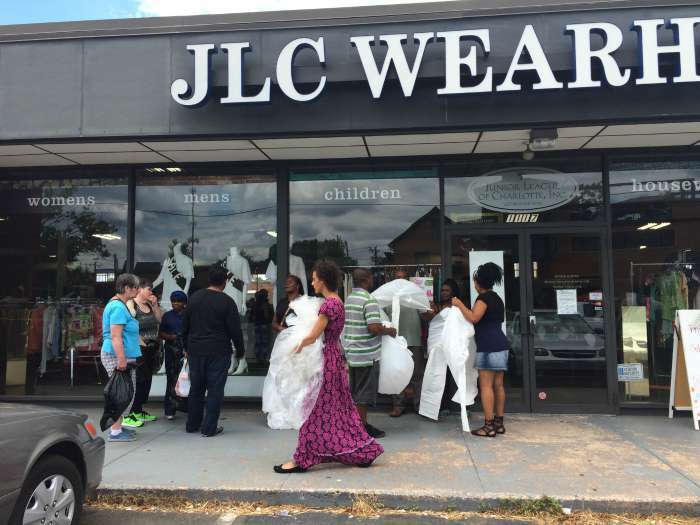 JLC volunteers spent the rest of the evening Saturday and all day Sunday bringing in new product and merchandising the store for the fall season. 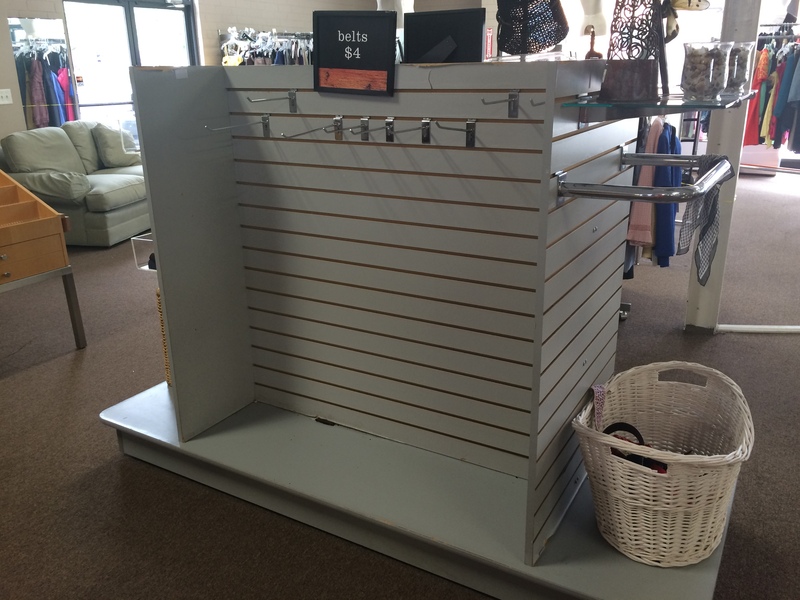 A reception unveiling the fall inventory will take place in the store Tuesday evening from 6-8pm.